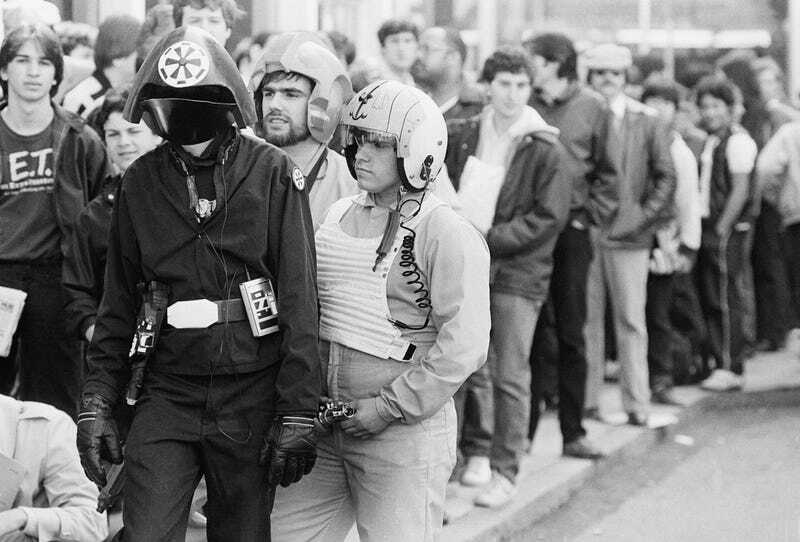 Have you been waiting in line for days to see the new Star Wars movie, The Force Awakens? Of course you haven’t. You bought your tickets online like a normal person. But there once was a time when buying tickets online wasn’t even possible. Below we have pictures of those poor chumps from the Olden Times™ who had to buy tickets after waiting in line — sometimes for weeks.